Picked this up today at Vintage Freak over in Bedford. If you live in the area I highly recommend this shop. 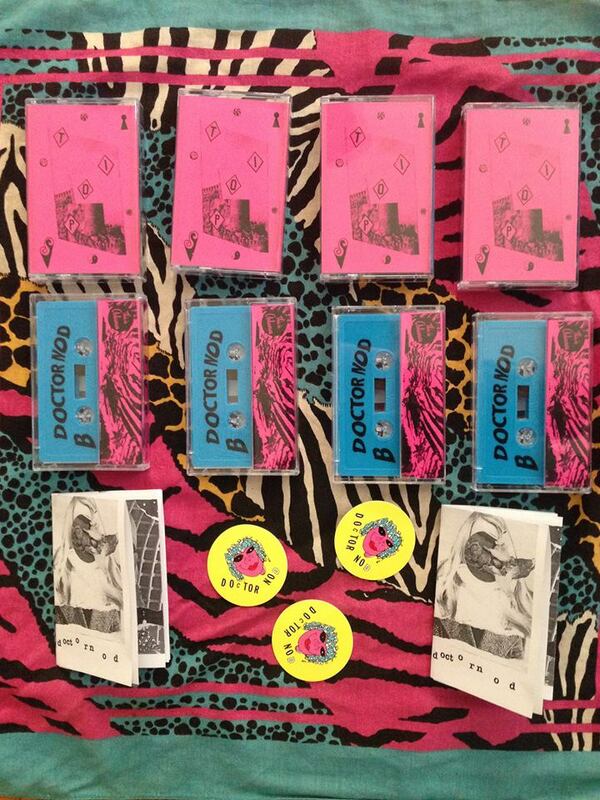 On top of great and affordable records, they also sell vintage clothes, furniture, and even pinball machines. This 45" was recorded at Pantego Sound Studio in January, 1980. Pantego Sound Studio is also where Pantera recorded both "Cowboys From Hell" and "Vulgar Display of Power." Cool! I think this is where Pantego Sound Studio used to be. 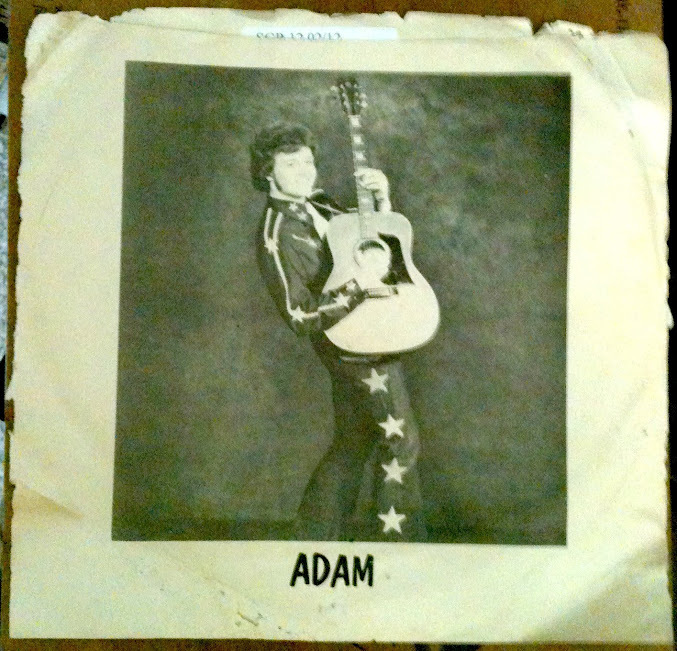 The best part of this $1.00 purchase is Adam's sweet star-spangled get-up b/w his bitchin' sideburns, all featured on the front of the sleeve (pictured above). Adam's guttural "YE-AGHH"s, peppered throughout "Party Hardy," are the highlight of the song, which all in all is plain good Texas fun. The B-side of this is a sorta haunting ballad called "The Little Old Lady." I might share it later. I assume the album it's from is called "Adams Apple," because that's what it says in big print on the record. I found the copyright info for "Party Hardy" and the B-Side. Apparently Adam's full name is Christian Adam Holtz and he was born in 1960.